A package put together by our Hi-Fi experts for great performance, this combines the Tannoy Mercury 7.4 floorstanding speakers and Onkyo's A-9150 integrated amplifier. Tannoy Mercury 7.4 floorstanding loudspeakers are coupled with the Onkyo A-9150 in this speaker and amplifier package delivering impressive performances. Mercury 7.4 is the flagship floorstanding loudspeaker in the range delivering unrivalled power and musical entertainment. 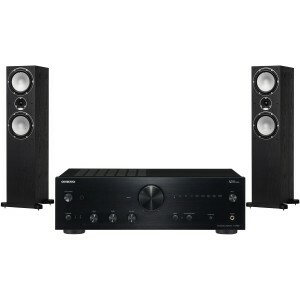 Bigger and more dynamic than ever, it is ideal for larger listening rooms or where high volumes are required. The 44 litre twin-ported cabinet, dual 7" mid/bass drivers and refined 28mm soft dome tweeter pack a mighty punch. 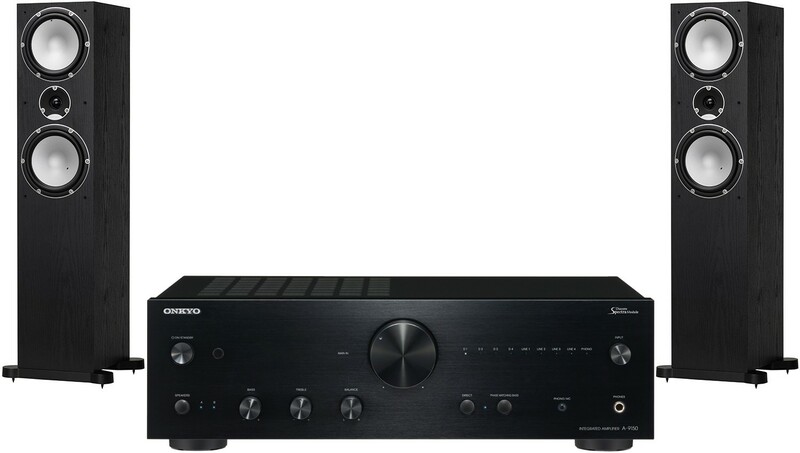 Onkyo A-9150 Integrated Amplifier is a high-performance amp with a high quality on board a 32-bit/768 kHz DAC that suits either vinyl or streaming. Fitted with hand-selected audio-grade parts, the amplifier contributes to lifelike immersive sound quality. You can enjoy a greater sense of authenticity from digital sources devoid of the unnatural “synthesised” feeling. Finished with an aluminium front panel and volume control, the A-9150 showcases Onkyo’s reputation for expert craftsmanship. For more information on the integrated amp, please visit our main Onkyo A9150 page.